Dr. Kenneth Geoghegan graduated in 1984 from DePauw University in Indiana with his bachelor’s degree in Zoology and in 1989 from the University Of Missouri College Of Veterinary Medicine. After Veterinary school, Dr. Geoghegan was the presiding practitioner in two locations in St. Louis MO. 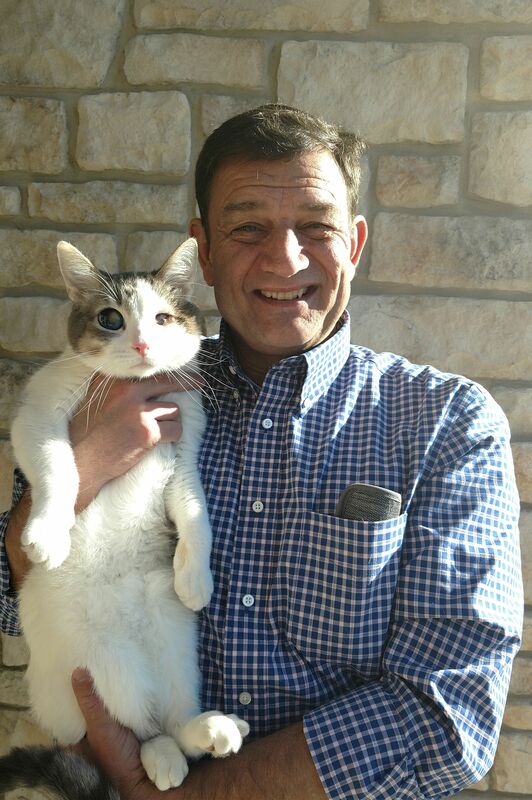 In 2000, he became the owner of Village Veterinary Hospital in St. Louis. After 12 years, he then sold his practice and moved to Cary IL. Dr Geoghegan is licensed in both Missouri and Illinois and a member of the AVMA. He was an author of a monthly column Pet Talk in Ladue News. He is an ardent fisherman and can be found fishing in our fresh water streams and salt waters from Florida to Belize. 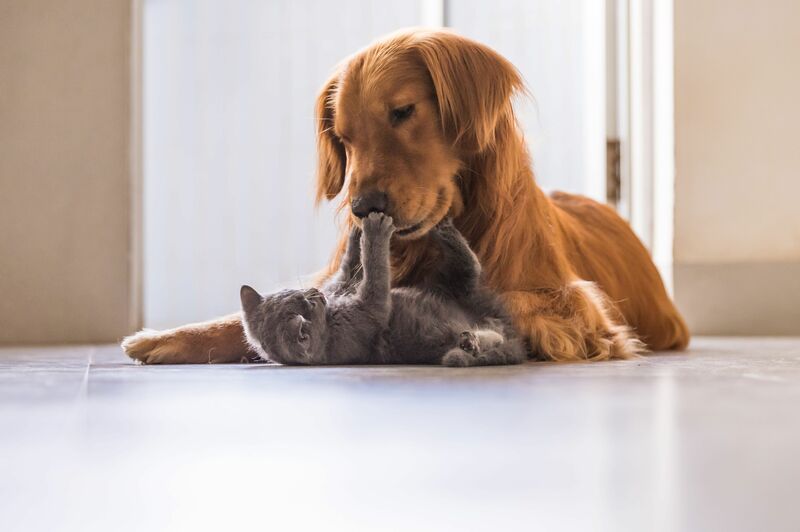 He shares his home with 1 cat, T-Bone. 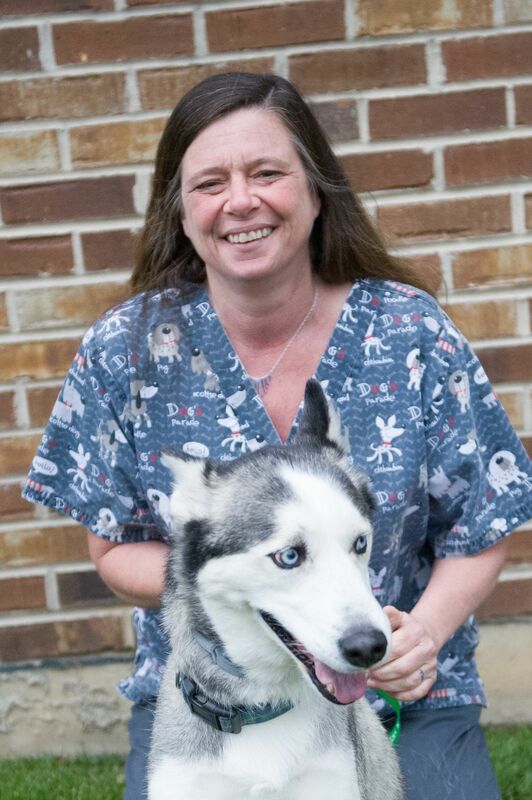 Kim joined our staff as a veterinary assistant in November 2007 after years of experience at a kennel, grooming and handling show dogs. Kim has always had a special interest in animals and shares her new house with her 3 dogs: Conrad, Dolly and Remi and her 3 cats: Truffles, Snowball & Jasper. She was married June 2nd, 2017 to her amazing husband, Tim, and they had their first child, Rhett, born April 4, 2018! Kim enjoys pet sitting, dog walking, spending time with friends and family, swimming, camping, or anything else outdoors. Mary joined All Paws in October of 2017. 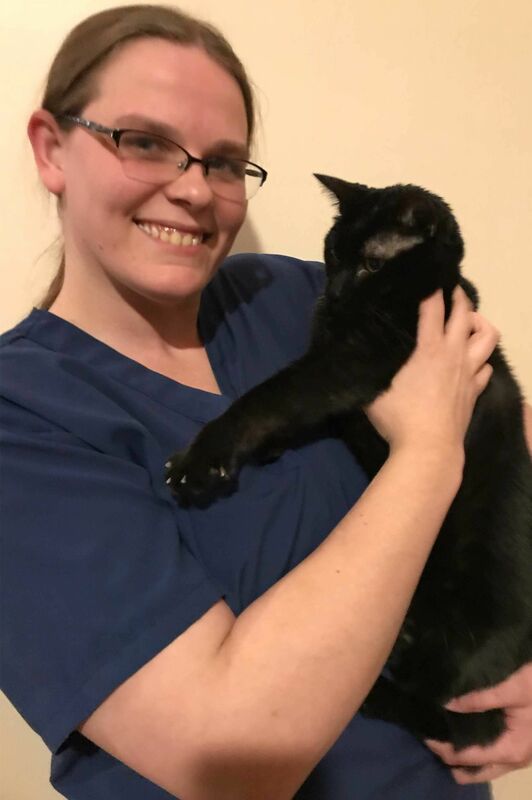 She has been in the veterinary industry for over 12 years, starting as a kennel assistant,and working up to vet assistant. 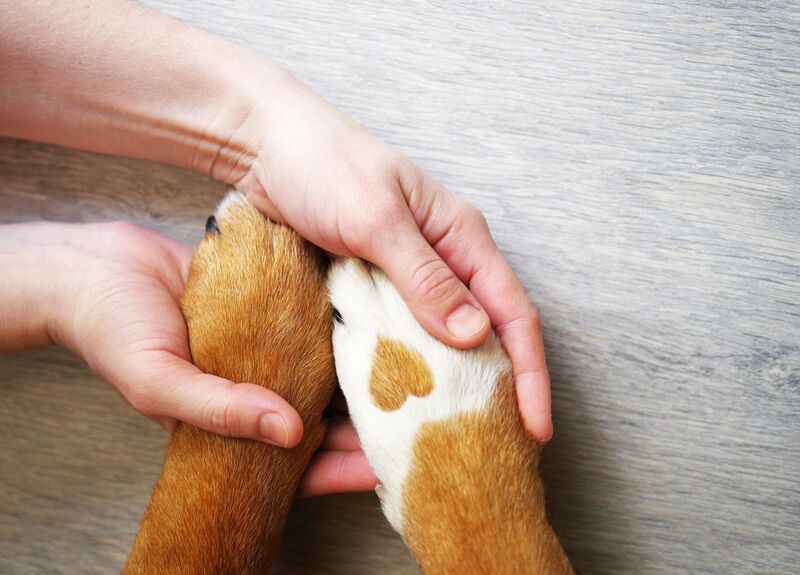 She has always had a special place in her heart for our four legged friends. Outside of her love for pets, she loves Halloween. In her downtime she does special effect makeup. So, to go with her love of Halloween, she has a black cat at home, named Ashes. K.K. has been working in the veterinary field back since 1981. For 13 years she worked at a small animal hospital in Wilmette and has worked with Dr. Lapin numerous times over the years. She shares her home with her Husky named UConn, and her two cats, Lion and Harley. Lion was dropped off at the clinic when he was merely days old. K.K. took him into her home and bottle fed him until he was old enough to be on regular cat food. During her time off, K.K. enjoys gardening, outdoor activities, and spending time with her grandchildren. 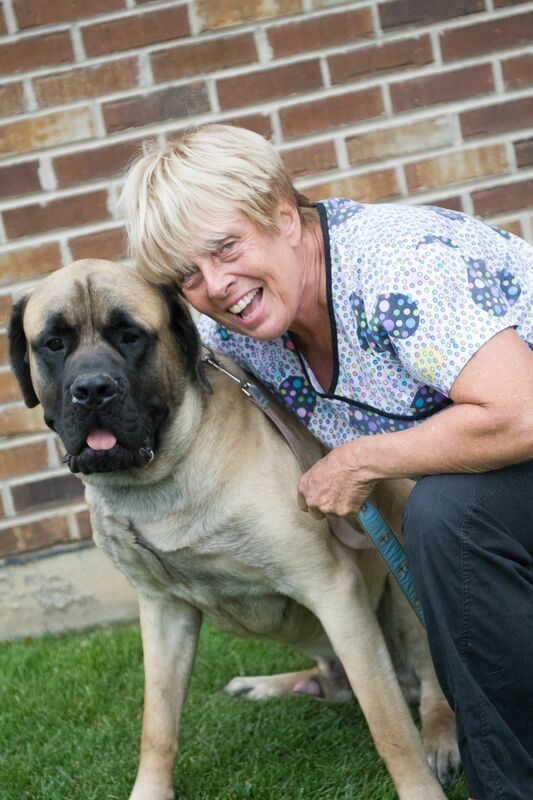 Diane has been working at All Paws since 2007 and has been a client here since 2001. 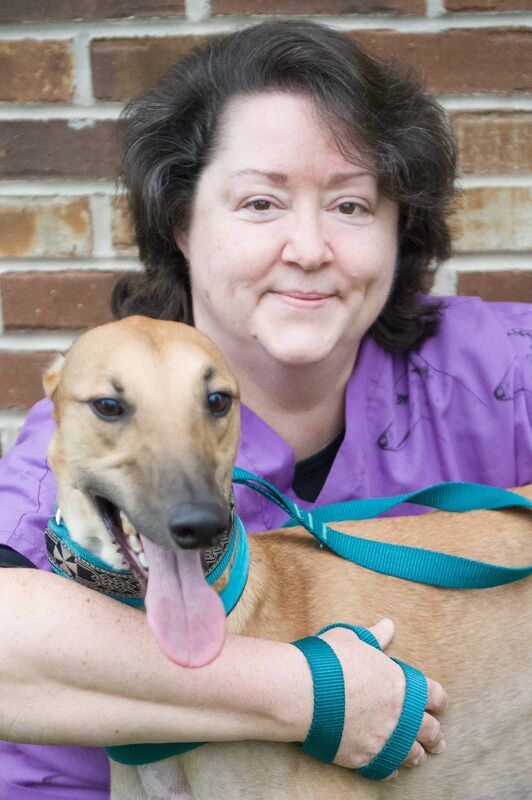 Diane and her husband adopted their first greyhound in 2001 and have had several greyhounds in their home over the years. They volunteered for a greyhound adoption group for 16 years and continue to help find homes for retired racers. 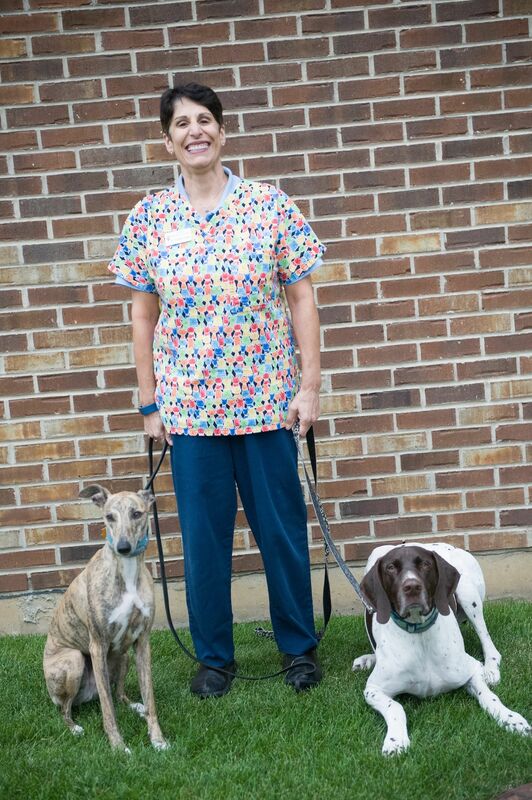 After retiring from teaching, Linda joined All Paws in 2011 while attending the Veterinary Assistant program at Harper College. She shares her home with two English Mastiffs: Emily B and Milton, along with cats Cecil B, Grayfire, Lucky, and Tuffer. Linda enjoys outdoor activities and in her spare time she works with her alpacas and riding her horse Sam. 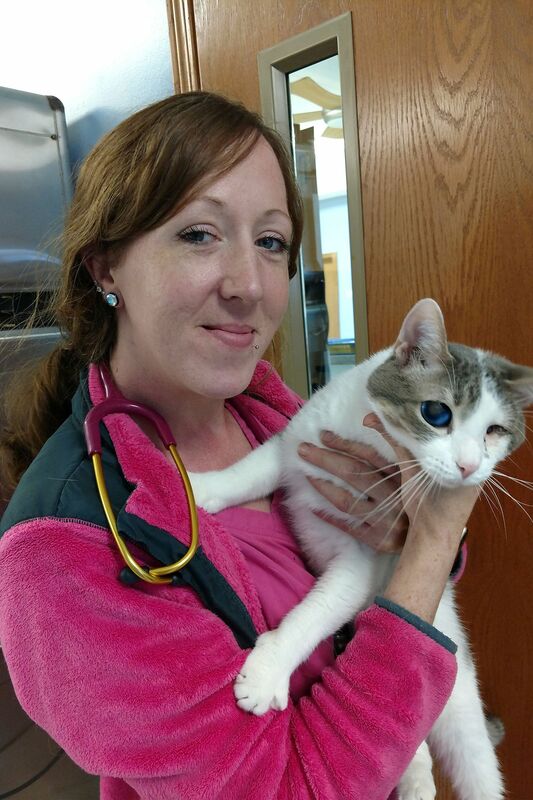 Sarah started working at local shelters 14 years ago as an animal care tech and she worked her way up to veterinary assistant. She has now been a vet assistant for 6 years. She currently has 3 dogs of her own and a mother to 2 young daughters. 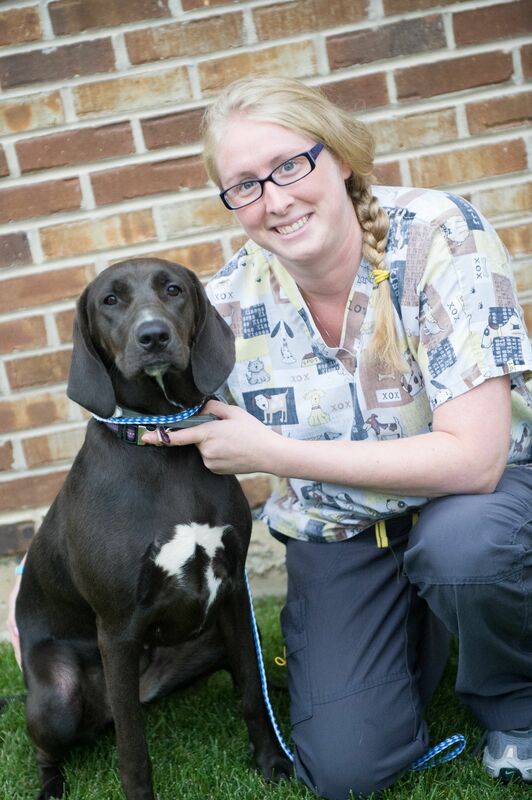 Stephanie joined All Paws in April of 2018 after completing her internship for the Veterinary Assistant program through Harper College. She plans to graduate with her Associates in Science by next year! Stephanie also works at a doggie daycare. 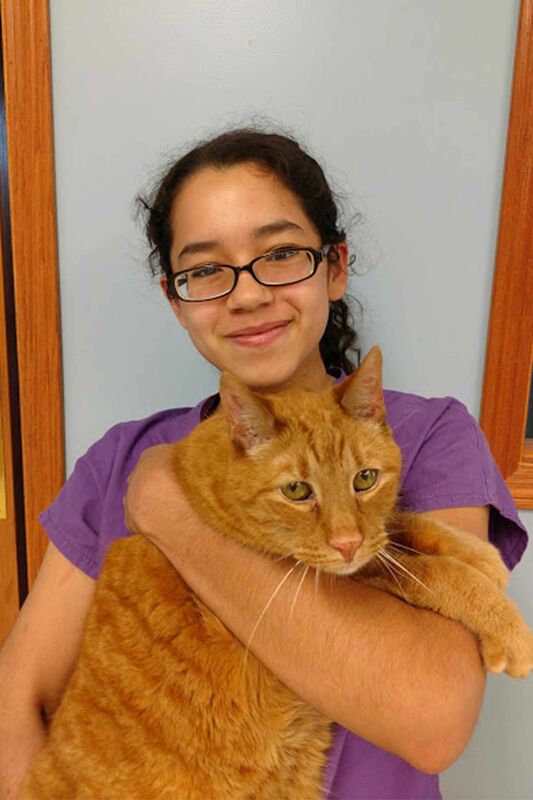 During her free time, Stephanie enjoys spending time with her cat, Simba, hiking, sculpting, and reading.